Coming soon to 100 Manett Crescent, is Brampton’s newest condominium – Genesis On The Park by Praxis Development Corporation in conjunction with Wilkinson Construction Services Inc.
Genesis On The Park will rise to 36 stories high and feature one-bedroom to three-bedroom units. The project will also comprise two-storey garden towns with ground level courtyards as well as Sky Towns with rooftop terraces. Genesis On The Park Condos anticipated date of occupancy is October, 2020, while VIP Launch is slated for summer 2018. Boasting of unique interior suite layouts, Genesis On The Park Condos will come with contemporary features and finishes, magnificent views, plus multiple designer-inspired building amenities. Genesis On The Park Condos residents will enjoy quick connection to Highway 407, 401 and 403. 401. The nearby Mount Pleasant Terminal provides GO Transit, as well as ZUM Bus service options. Pearson International Airport is just 15 minutes away by car. 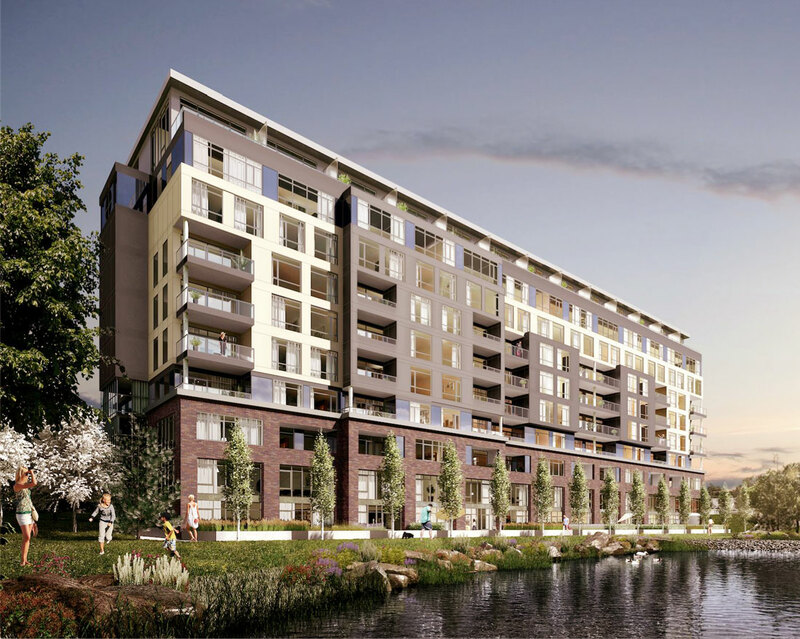 The development perfectly sits in the dynamic North Brampton community, which is famed for its unique lifestyle conveniences. They include shops, schools, parks and Turnberry Golf Club. The project site is a short distance to the upcoming Ryerson University. With downtown shops, restaurants, schools and different services all located within walking distance from the development site, Genesis on the Park residents will have easy access to them. The Brampton’s Park and Trail System is at the front door and the area is surrounded by expansive greenery, allowing residents to enjoy the outdoors. Downtown Brampton is a flourishing centre with a lively nightlife, delightful restaurants, and incredible local amenities that match any lifestyle. The ever-growing downtown Brampton hub can truly be described as a combination of old meets new. Downtown Bramptom is home to many highly established schools for all ages as well as colleges including Carnegie Learning Centre, Sheridan College – Davis Campus, TriOS College Business Technology, Bollywood Dance Brampton and the future Ryerson University – Brampton Campus. From an array of Garden Towns, Condos, plus Sky Towns, residents will be able to pick the layout and design that suits their lifestyle in this family-friendly neighbourhood. Considering Genesis On The Park Condos coveted location, the project is expected to sell fast. Praxis Development Corporation is a U.S. based real estate development company. The firm focuses on intensification of urban communities. It boasts of over fifty years of hands-on experience in every aspect of real estate, construction as well as development. In addition to developing real estate properties including shops, pharmacies, banks, gas stations and fitness facilities, the company develops residential properties that include multi-family apartments and condos. Wilkinson Construction Services was established in 1977. For more than 40 years, the Toronto-based company has been a reliable builder, working in Central and Western Canada and in the Canadian Artic, dealing in residential, commercial, industrial as well as institutional projects.